The leader of the Mimix tribes. 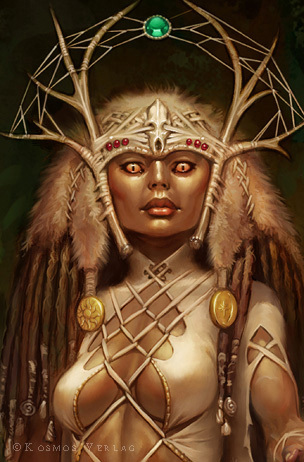 Her costume is decorated heavily with celtic-style webworks. Click the second thumbnail to see early Conceptual Art.